Jaydeep Steels is an eminent 15Mo3 Steel Sheets & Plates manufacturer, stockist, supplier, and trader in the present times. 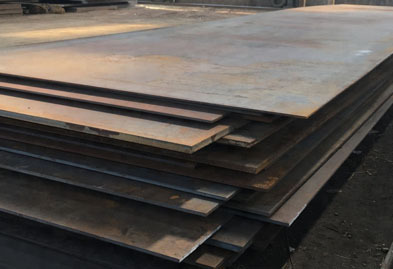 Our offered range of Alloy Steel 15M03 Sheets and Plates contains a higher amount of chromium and molybdenum that comes to be of real use in various industrial sectors. We go to the lengths for the procurement of the best quality of raw materials that makes the entire process of manufacturing the 15Mo3 Hot Rolled Sheets & Plates easier and error-free. Numerous tests and quality checks are being performed on the 15Mo3 Cold Rolled Sheets & Plates before actually delivering them to our customers. Our quality controllers very stringently inspect the entire range of 15mo3 equivalent sheets and plates as per international quality standards. These hot-rolled and cold-rolled sheets and plates have innumerable industrial use like aerospace, shipbuilding, automobile, petrochemical industries, and much more. 15Mo3 Steel Perforated Sheets have a minimal addition of components like cobalt, cerium, nickel, silicon, vanadium, and boron, so as to enhance its chemical and mechanical properties. These also offer other noteworthy features like wear resistance, corrosion resistance, and toughness. 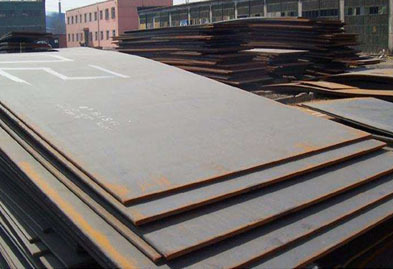 As a renowned 15Mo3 Steel Sheets and 15Mo3 Plates Suppliers, we incessantly work upon enhancing the quality, texture, and composition of our products with the time. 15Mo3 Chequered Plates are manufactured under the guidance of our skilled experts and thus are known to be of the highest quality standards. Numerous industries, especially the ones involved with the fabrication of industrial boilers and steel pressurized vessels found in the oil, gas and chemical industry use our products as per their requirements. Contact us today to get an all kinds of high quality 15MO3 Steel Sheet & Plates at an affordable price. Hardness Soft, Hard, Half Hard, Quarter Hard, Spring Hard etc. Our experienced team of metal experts will get you the metal you need when you need it. Call us today for your 15Mo3 Steel Sheet & Plate Needs!